In this paper, we present a series of sensitizers to shed light on the influence of π-spacers on the performance of dye-sensitized solar cells. We have accurately calculated key properties in energy conversion, including sunlight absorption, electron injection, electron/hole reorganization energy, ionization potential (IP) and electronic affinity (EA). 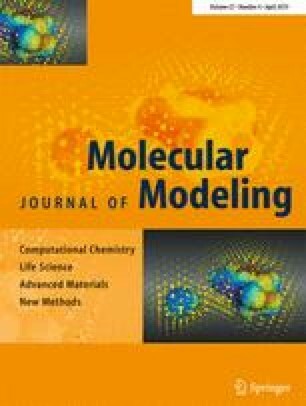 We chose a series of donor-π-acceptor dyes based on methyl-indole-carbazole as the electron donor group and cyano-acrylic acid as an acceptor with various π-conjugated systems. 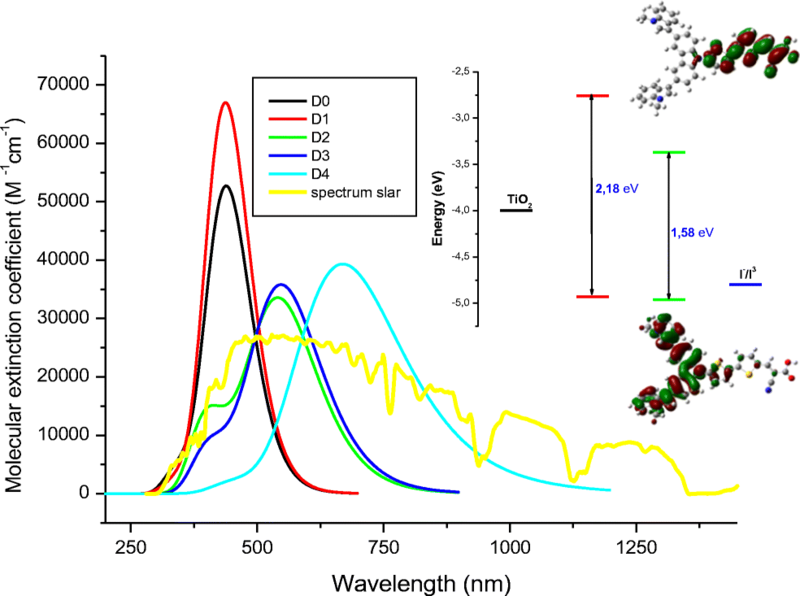 The results obtained show that, with incorporation of the thieno(3,4-b)pyrazine in the two π-spacer parts, D4 may be the best candidate among the dyes studied, due to its many advantages such as low gap energy, red-shift absorption spectra, large ΔGInj, low hole/electron reorganization energies, low IP and high EA, which indicate its better optoelectronic properties, which present more balanced transport rates and provide good injection ability. Absorption spectra in gaz phase, obtained by CAM-B3LYP/6-31G(d,p) with solar spectrum. The authors thank the Volubilis Program (N° Ma/11/248) for the purchase of Gaussian09. One of the authors (İ.S.) greatly thanks Bitlis Eren University for supporting this study by Gaussian 09 W and GaussView5.0 softwares.